In London in the early 1960’s a large number of teenagers started associating themselves with the Modernist culture. In the working class area of Hornsey where I was dragged up, teenagers wanted to do something different and being a Mod was considered cool. 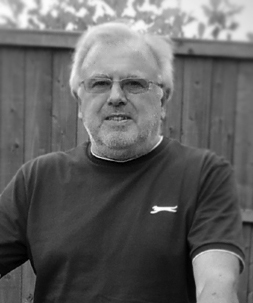 I first became aware of the new Mod culture that was starting in London in 1961 at the age of 14 and I wanted to be part of it. I wanted to wear smart casual clothes and get away from rock and roll and the Teddy Boys lifestyle. This included the brylcreemed hair combed into a DA (Ducks Arse) at the back with a large quiff at the front, which I loathed. At that time, before the birth of the British groups’ scene, I used to like most of the popular music from the USA. Buddy Holly was my favourite. I also liked the pop singers like Roy Orbison, Del Shannon, Brian Hyland, Bobby Darin, Neil Sedaka, Ricky Nelson etc and a host of black American singers of the time. We used to listen to Radio Luxemburg, as the BBC Light programme was naff most of the time. To save money, we used to record the songs on the latest technology available – tape recorders. We did this by placing the microphone in front of the radio’s speaker. Hi-fi it was not, especially with the terrible reception and background noises, but it was a lot cheaper than buying records. Before I knew anything about the Mods and certainly before it was popular for Modernists to own scooters, I bought a 1959 Ian Allan abc publication on Scooters & Light Cars. When I turned to page 49 I fell hopelessly in love with the Vespa GS150. The curves were voluptuous especially the side panels (the bubbles as we called them), the 10 inch wheels made it higher and gave it a majestic look compared with other Vespas. I just thought it was sensational so I made myself a promise that one day I would own one. Luckily for me, it became a Mod icon by about 1962. I left school in July 1962 without a single qualification and without a notion of what I wanted to do in life. My uncle worked for the Post Office and offered to be my referee. I was unhappy at the prospect of being a messenger and having to wear a uniform but I knew that it would be a steady secure job. I started in September 1962 for Post Office Overseas Telegrams. I earned less than £5 a week and once I’d paid for my fares and my keep, there wasn’t a lot left. How was I ever going to be a follower of fashion and a scooter boy? Well, for over a year I didn’t manage to save much at all. I wanted a scooter but I also wanted to keep up with the fashion, which wasn’t easy on the money I was earning. When navy blue bri-nylon raincoats were in, that was a bonus as they were relatively cheap. When Hush Puppies were in, they were reasonably priced and comfortable. The trouble was, by the time you bought an item it was already going out of fashion. Buy a shirt with a buttoned down collar and before you knew it, tabbed collars were in. Rush out and buy a tabbed collar and a collar with a metal bar had replaced them both as cool. Trousers were even worse. One minute flared, next straight cut and then ankle wingers, and then they had to be white, then pink, you couldn’t win! I managed to discipline myself by cutting down on records and fags. I couldn’t afford to go up West so most evenings I used to walk up and down Wood Green High Road with some mates looking in the shop windows, all closed in those days, looking out for girls and watching the rich scooter boys riding by. In those days, if they saw a girl they liked they could pull up and offer them a lift. No helmets to worry about. Flash bastards! However, an annual increase and some budgeting meant that I started to put a little away each week. I wrote out a list pledging how I would save money and when I would have enough for the deposit. Like most projects, even multi-million pound ones that I was involved with in later years, this was too optimistic and it actually took an extra 85 days. Every week, I used to look in the local papers to see if I could find a 1961 GS150 for less than £120 quid. Once I had enough for the deposit, my mate Dave took me round all the local scooter shops on his Triumph Tiger Cub (un-cool). Dave’s cousins were all rockers and his Dad rode a motorbike and sidecar so it was a natural progression for him to become a biker. However, I did manage to convert him and within a few weeks of me getting my scooter he had bought a brand new Slimstyle TV200 and changed his hairstyle! I really wanted a GS in silver as that was the colour Vespa produce it in but nearly everyone I found had been re-sprayed a different colour. In August of 1964, I saw one in maroon in the window of a scooter dealer in Green Lanes, Harringay. I fell in love with it and put down a deposit. The day I collected it was the first time I realised that I had never ridden a Vespa before. I didn’t have a helmet so I was taking a chance. The centre of gravity on a Vespa is low but to the right and to the rear. The GS had more power than other Vespas and the clutch was very fierce. It took three goes before I managed to pull away and when I got to the end of the road I had to turn right into a main road from a hill start. To this day I do not know how I managed it but I suppose when you are young you are fearless and you learn fast. I soon managed to get in a load of riding practice. Most evenings, Dave and I used to ride up and down all the local high roads and through the Ally Pally (Alexandra Palace) until we were pretty competent. After a couple of months I managed to pass my motorcycle tests first go even though I lost the examiner and didn’t do the emergency test correctly the first time. I was never good at directions so I went the wrong way and then I expected him to jump out from behind a car and put his hand up for the emergency stop. He laughed, as he knew that there was a story going round about an examiner that allegedly did that and ended up in hospital. He said that no way were any of them that daft! His surname was Bailey and he commented that I had let the Bailey name down as far as intelligence was concerned but I was a good rider. I ripped my L-plates off as soon as I got home and took some of the paint off with them! That was when I realised that the maroon paint had been a pretty poor re-spray. I started adding lots of Mod accessories. Front carrier, rear carrier with spare wheel, fly screen, mirrors, Ulma Florida crash bars, rear mud flap, long aerial with a fox tail on the tip etc. I didn’t fit extra lights, as I knew the GS electrics couldn’t cope. All I needed now was a Scooter Girl. I didn’t have to wait long as my scooter gave me the edge. I met a girl at college and she used to love being ridden around. We would both don our parkas and go up West and here, there and everywhere in North London. I can still remember the loud flapping noises of those parkas when we were going flat out down the hill in Ferme Park Road. We were risking our lives speeding like that especially as we didn’t have helmets or protective clothing but we felt so alive and cool. 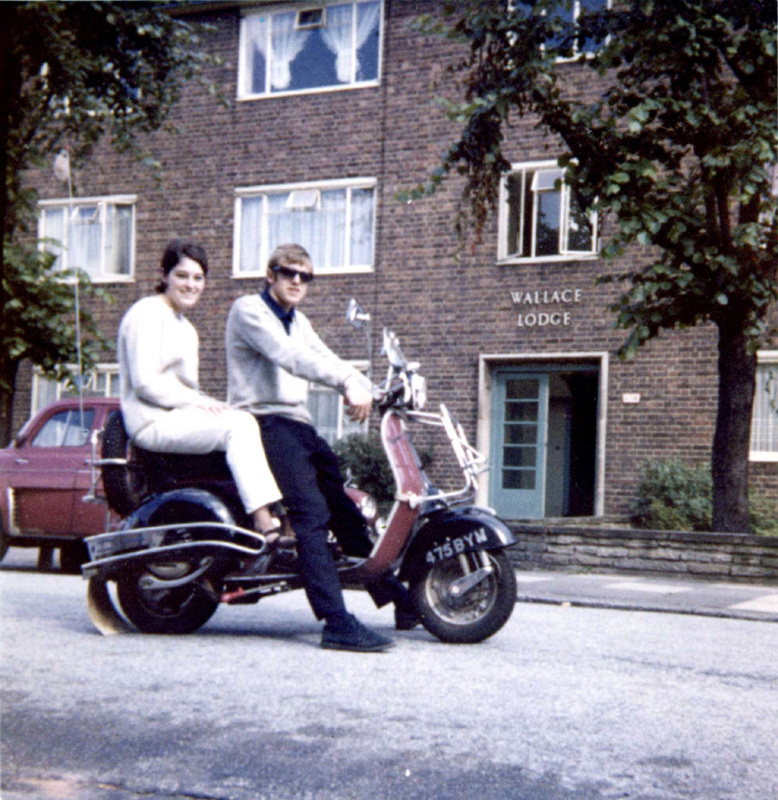 As we were part of a group of London Mods we didn’t feel we were extroverts but we did feel our new movement had style and originality. By the summer of 1966 I had moved on. However, the Mods are forever being rekindled by successive generations and this pleases me and makes me feel a little bit proud that I was one of the originals.